Throughout the years and especially come national election time, we native Filipinos spend enormous time and energy talking about politics, i.e. political criticism, at best and rarely on issues of political independence; at worst, oftentimes and predominantly on personalities of our politicians at the local and national levels. I say these not to belittle the role of the enraging personal characters and/or public actions, i.e. insatiable greed and rampant pursuit of power to do so; by many -if not most- of our politicians, at the municipal, provincial and national levels, since in our homeland these considerations have significantly contributed to the ever-deepening poverty with extremely dire consequences to our native citizenry, society and homeland. However, by concentrating on such we do not seem to appreciate (and lose awareness of) the fact that economics: national economic development aka political economy is also vastly important and that --at this point in our national history-- requires equal, if not more, attention from the us native citizenry. With our homeland as a primary example and as poster boy for the Third World, the heavily documented experiencesand observation of Economic Hit Men EHMs provide us insights on who they were, what they do, what their background, how they did their transactions, whom they dealt with, the milieu they had, etc. Their works can only be summed up as the modus operandi of creditors (multinational banks) and debtors (our homeland represented by our subservient un-nationalistic native technocrats and ruling regimes) and how all of their businesses led only to our continuing, decades-old and present national predicaments; characterized by deepening and expanding mass poverty, with all its adverse socioeconomic and political consequences. By making the country such as our homeland as the only debtor (rather than lending directly the private businesses who needed capital), the creditor banks via the IMF and WB tandem were able and can enforce loan payments, dictate to our homeland all changes they wanted in our government policies to greatly profit them; and conversely led to our national detriment. In the long run, as we now see or not still see, these changes negatively and gravely impact our domestic institutions: education, national economy and patrimony, native entrepreneurs, national sovereignty, etc. and further facilitate the foreign penetration and dominance in our society through economic and cultural globalization --even before the term globalization aka neoliberalism became common currency. 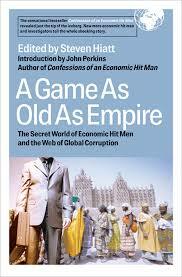 Below essay is Chapter 9 from the book “A Game As Old As Empire” written by former Economic Hit Men (EHM), who have worked for years representing the largest American banks as loan officers to Third World countries like our homeland. These few individuals later realized that they were tools of their financial institutions (multinational banks) through work in arranging foreign loans to poor countries, ostensibly to help latter, but instead made them poorer. Their consciences made them tell us the tricks of their trade. But this time, thanks to whistleblowers inside the World Bank, we can get an insider's view of how the development game is played and why the results are usually far from the official rhetoric. Marcos turned for help to the World Bank. One of its conditions for assistance was a 60% devaluation of the peso. In the 1970s, currency devaluation was the standard Bank prescription for Third World countries and needing loans. In theory, this would bring the trade account into balance by increasing foreign exchange earnings from cheaper Philippine goods while decreasing outward cash flow for now more expensive imports. The collision of the World Bank's macroeconomic policy and real people's lives was bloody and left a multitude of casualties. Currency devaluation is part of the broader policy of (economic) liberalization --sometimes called neoliberalism --which is both the standard precursor to structural adjustment loans and a continuing part of the structural adjustment package. liberalization is at the core of World Bank trade policies, for the Philippines as well as most other developing countries. "We violated all the laws we impose on countries today. We depended on protective tariffs into the early 20th century. We also violated all the intellectual property rights we now hold sacred. The U.S, chemical industry got started during WW1, when we stole the German patents. In the 19th century, U.S. publishers were notorious for republishing works of foreign authors without permission or royalties. Orthodox economics insists on letting the market work and subjecting domestic producers to foreign competition. but this is also the ideology of the strong: You want to prescribe free competition and liberalization when you're the big guy on the hill, because no one can compete with you. So on the way up, everybody's a protectionist. but once you get to the top, you're a free trader. Another condition imposed by the World Bank for the loans Marcos sought was opening up the Philippines to foreign investment in the form of export processing zones (EPZs). A major zone was created across the bay from Manila. By keeping employees on short contracts rather than permanent employees, employers avoid paying legislated benefits such as healthcare and pensions (14). According to the World Bank's own report, from 1972 to 1978 the real wages of unskilled workers declined by 30% and those of skilled workers by 25% (15). 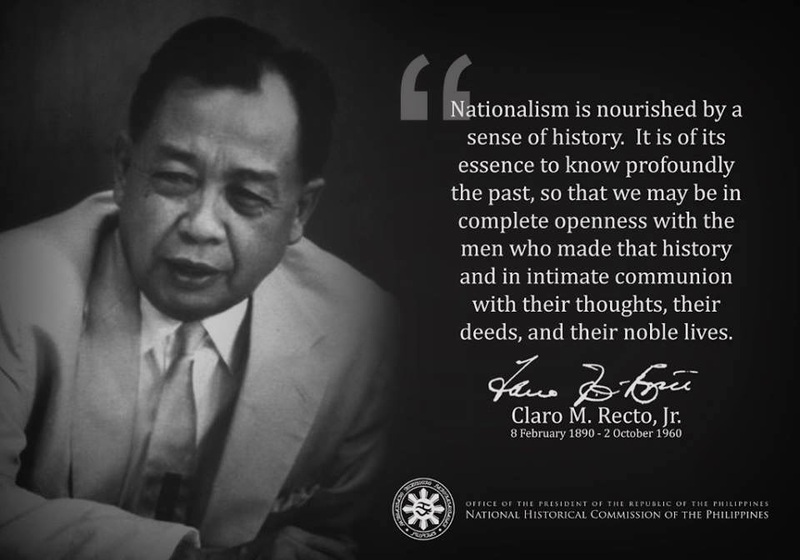 The early martial law years brought accomplishments that impressed Bank bureaucrats. GNP rose by 10% in 1973. Major efforts by government to attract foreign investments brought in $55M. High prices for agricultural exports shifted a $120M trade deficit in 1972 to a $270M surplus in 1973. Over the next 3 years economic growth leveled off however, and during 1977 to 1981 "the program began to unravel in spectacular fashion. (23)"
A major reason for the decline was protectionist barriers put up by Canada, Europe, Japan and the United States. In two years alone, from 1978 to 1980, 33 barriers were erected to Philippine exports (24). Did the World Bank assess this trend and stop promoting export-led development to poor countries? Not at all. Did the Bank pressure developed countries to drop their barriers to Philippine goods? Of course not. As the economy plummeted, the country's foreign debt skyrocketed. But, life was becoming more difficult for poor and middle-class Filipinos. Ferdinand Marcos and his wife, Imelda,were siphoning off billions from development projects. The amount they stole is not known precisely because of banking secrecy laws in the countries where they hid the money, but most accept the $10B estimate by the commission on Good Government, established to recoup the losses. The Marcos clan used every possible avenue to amass wealth. Cronies were installed at the highest level of government to broker deals. One particularly egregious deal, the Bataan Nuclear Power Plant, was handled by Marcos' buddy Herminio Disini, a regular golfing partner of Marcos' claimed that "he had the authority to arrange the deal in any way he wished." This nuclear plant was to be sited at the base of a volcano on an active earthquake fault. Marcos chose Westinghouse to build the reactor, even though its plan was nearly twice as expensive as General Electric's. And let us always remember that even decades before our homeland fell into the debt trap, our rulers since American colinialism through our so-called independence (political, not economic since we never attained the latter, consistently followed America like a dogface; whoever has the gold, usually makes the rules; though one can break or not follow if brave enough, we always follow (our rulers were not brave enough).